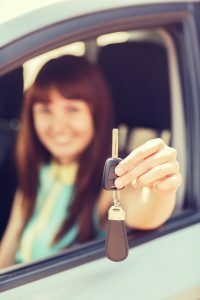 Home / Blog / How Can I Get Approved for Car Loans? Are you a busy mother making multiple trips to and from your kid’s school and other activities; a student driving to class; or a man that needs a pickup truck for your business? Start by thinking about what you need your car for on a daily basis. Do your homework ahead of time and see what kind of cars have the room you need, the fuel efficiency you’re looking for, or has the dependability that you need. All these factors will determine which kind of loan you’ll need to get. Before you head to the dealership, know your budget. Be proactive ahead of time and check your credit score and know a budget you can handle for your loan payments. Drive Now will work with you even if have a poor credit score, but it is always a good idea to be aware of your financial situation, as well as make sure your credit report is correct. Make sure you are practical about your vehicle needs because you will not only have a better chance of getting a loan, but you will also have an easier time making your payments on time. 3. How to get started. You might be thinking of getting an auto loan takes a lot of work. At Drive Now, it’s actually very simple. Drive Now is known among dealers in Phoenix as a great option for a huge range of used cars, trucks, vans and SUVs, as well as personalized finance options and superior customer service. We recommend starting the application process conveniently right online, or by visiting our dealership. We value your time and business, so we strive to provide you with the loan you need within 30 minutes. Remember to always ask the right questions when you are buying a car. If you need help knowing what to ask check out our post on the top questions to ask your Arizona car dealership!